For this inaugural edition of Art Talk, we focus on Canadian artist Melody Lynn Madden‘s work. 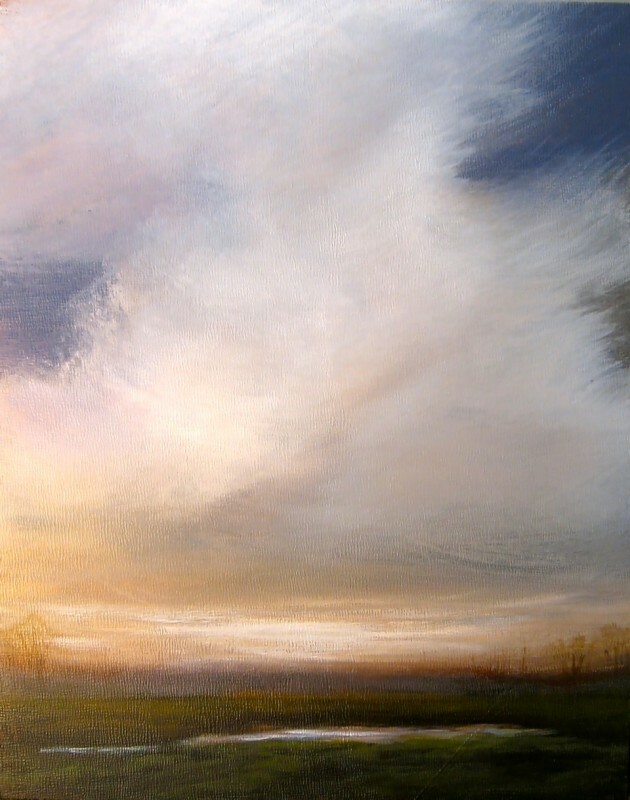 Melody’s dreamy landscapes and emotive cloudscapes take us to a place of lightness and calm. 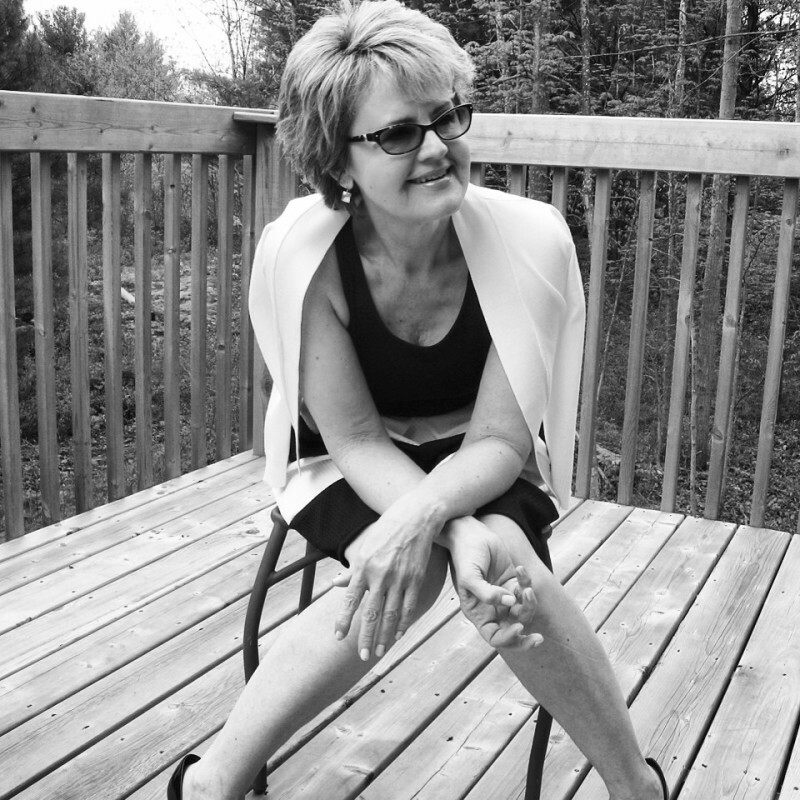 The openness of the skies and pristine lands of Muskoka, Ontario figure prominently in her work which transports us to the place she calls home. A welcome virtual trip for this city dweller! 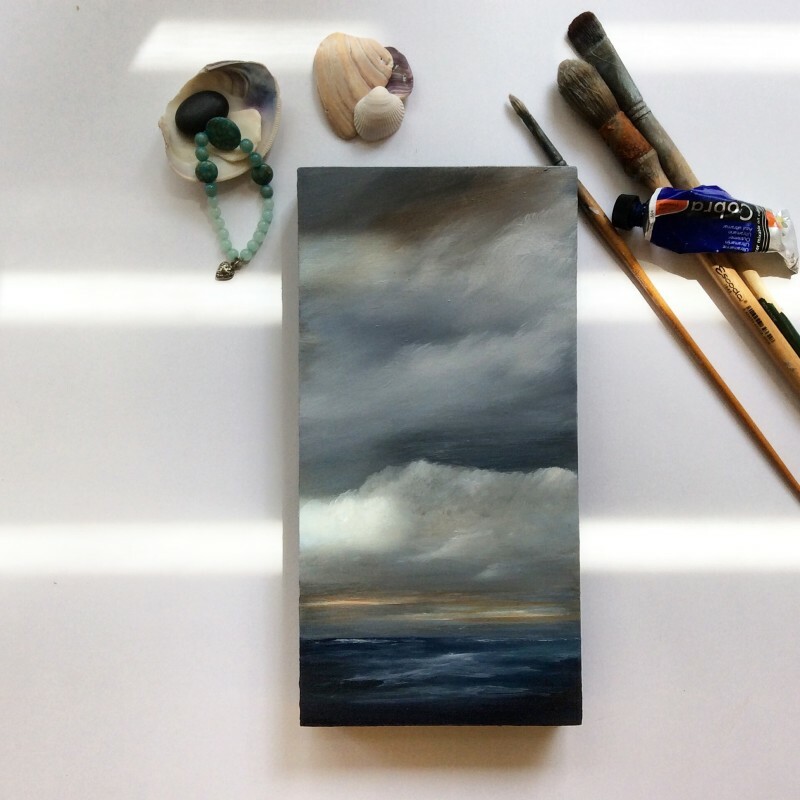 Learn more about Melody Lynn, her approach to art and her diverse sources of inspiration. Here’s a tip: She’s fond of the Justins. I would like to talk about these serene, beautiful paintings, but first, I would like to talk about you. How did you get your start as an artist? Growing up my grandmother instilled in me the value of working with my hands… a creativity that may have never manifested itself if not for her. She was an embroiderer and to watch her fingers move the needle effortlessly through the fabric when she sewed …as if through water .. silent and smooth was simply beautiful. I worked in textiles for fifteen years because of her influence and then moved to paint five years ago. My grandfather loved film. He took me to my first movie when I was 5 years old. Mary Poppins. The memory of that scene in the park with Burt .. Jumping into the paintings.. I feel like I paint places I would like to jump in to. Those two pivotal moments in my life, my grandmother teaching me the value of working with my hands and my grandfather showing me the magic of places I could create – places I could jump into … Places of comfort. It’s taken me all this time to see how those early exposures to art in two different forms planted a seed in me creatively. Please describe to us what your process is like. 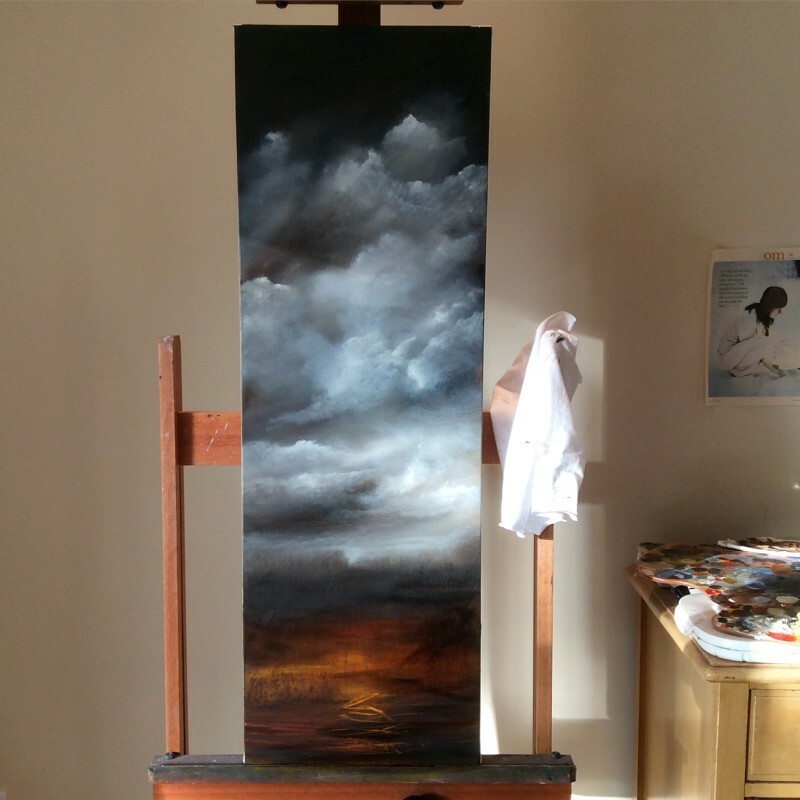 Do you work mainly outdoors or primarily in the studio? I am a studio painter. Mine is surrounded by large windows which overlook 3 acres of the Muskoka landscape. I walk the property every day and in the winter I cross country ski on the pond. This inspires me and fuels the ideas for new work. Lately I’ve been waking at 5 a.m. and heading into the studio, picking up a paintbrush, watching the sun come up and just feeling so damn grateful to do the work. I use a lot of glazing in my art as I am quite taken with the luminosity and depth I can achieve with that process. I never draw anything on canvas/panel before I begin because I feel it limits what may present itself. I just go with what I feel and trust that will be enough. I also never premix my colours, preferring to do it on the canvas/panel. There is always music on in the studio…I don’t remember a time when I painted without it .. Everything from Imagine Dragons, Etta James, Guns n Roses, Drake, Moby (big love for Moby) Van Morrison and the Justin’s (timberlake/beiber). Strangely enough another part of my process is choosing the title of a piece before the art begins. It’s triggered by something I’ve experienced in my own life, a feeling, an unanswered question or something I’ve read or seen that has a profound emotional impact on me. I write it down and it influences the work right from the very beginning. I love words … the lyrical way they are strung together … like paper hearts. The sound and flow of the spoken word … words that can soothe a broken heart, comfort a weary soul, inspire those in need of inspiration and give us hope when we need it most .. I love the space they hold.. Words connect us, through our struggles, our joys, the never ending challenge of trying to find our place in the world. The words, the landscape and the art … it’s a full circle experience for me. The place where you live and work (Muskoka, ON) seems to be the persistent character in your work. What for you are the characteristics of this region that figure in your work? I was born and raised in Toronto but moved north seventeen years ago. I still love the city and am there often but the connection I experience here in Muskoka, it creates an emotional response that shapes the work. The lakes, the trees, sunrise and sunset … Oh, and I am so emotional about the sky. To me, the sky holds untold stories. How do you feel about working in different cities and exploring different landscapes? That idea is the future vision I have for myself and my work. Travelling and experiencing life in different cities, exploring new landscapes? It would open the door to a new level of creativity that would enhance my paintings and allow me the possibility to explore new forms of inspiration. I have a big love for Northern California, the sky, the beach and those gorgeous redwoods. It would be a dream to paint and teach there. Your art often exudes calm, openness and a sense of freedom, how important is it for your disposition to be the same when you’re painting? I’m emotional every time I pick up a paintbrush … It’s like this flow of everything I’ve experienced in my life to this point … Pouring out onto canvas or panel …. I believe there are pivotal moments in your life that change you … shape you .. push you to strip away the layers to discover who you are and what your really made of … My work is an exploration of that. At times that may translate to a calm, still sky or as of late, something much more dark, stormy and powerful… There is an incredible beauty to both. You have your own website through which you sell some of your work. For a lot of artists this has been an increasingly popular way of selling art. However there are still those who feel that selling online is impersonal, especially those who are intrigued by the new owners of their work. By selling your work online is that sensation all lost? Especially that part of interfacing with people who share your vision? 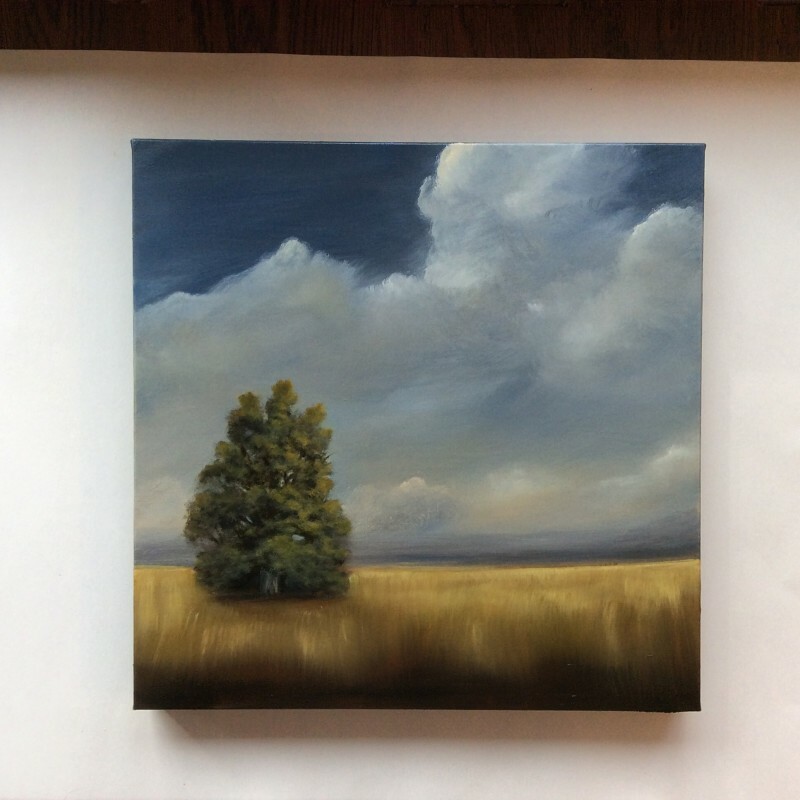 I have found selling online a great way to connect with new buyers as well as previous collectors who currently own my work. I can totally understand the hesitation of that initial purchase though. Buying online from an artist you’ve never met or spoken with can be daunting but I do my best to make it a good experience and to be open, honest, engaging and communicate well. Many buyers have sent me a photograph of my work hanging in their home … I’m am so honored by that gesture. I do love galleries. I’m talking to a few right now and would love to be represented as well as represent myself … I believe as artists we can do both. I currently sell with two online galleries, Zatista and Saatchi. Do you remember what it felt like to be called an artist for the first time? And what does it feel like to be called an artist now? Honestly, the first time it made me uncomfortable probably because I couldn’t claim it. I did a group show with much more seasoned artists than myself, artists whose work I was in awe of. Maybe I thought I didn’t deserve it, I hadn’t quite earned it yet. Today I fully own it and stand proudly in that space. I believe we are all artists, each of us uniquely creating, through our daily lives, a way to express who we truly are. And finally, what are you working on these days? “The Fine Thread of Connection That Winds Around My Heart” which is an acrylic/ oil piece. 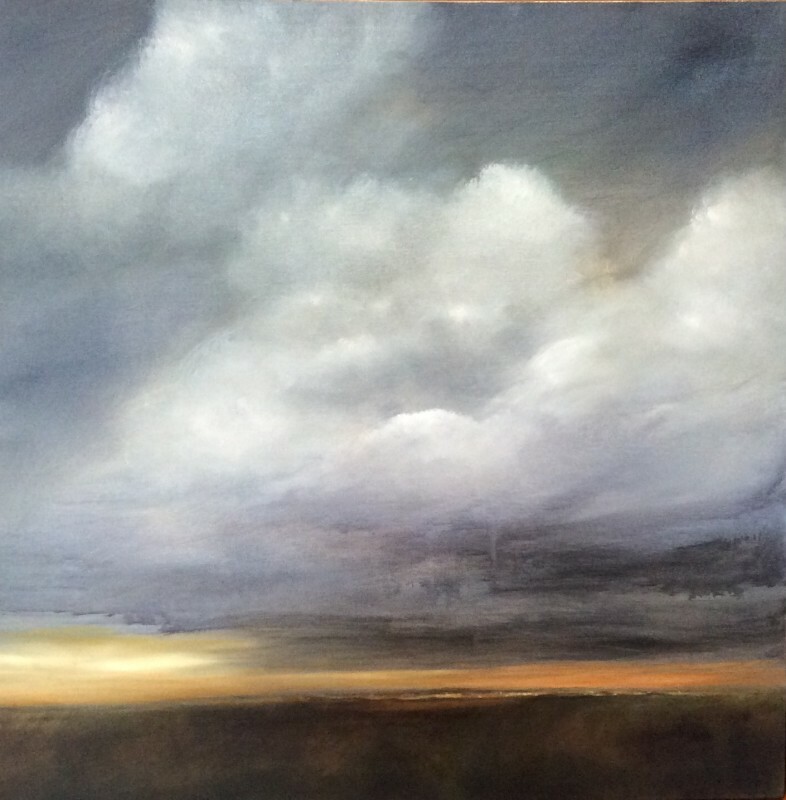 I’m finding the revealing of layers has begun to show itself in my work and I’m quite enjoying the transition between reality based skies and a more abstract landscape. The process of scratching away the surface on a painting to reveal what’s underneath is deeply satisfying to me as I find it symbolic for life. While working, I keep a passage from one of my favorite books on my work table … for me it keeps it real.